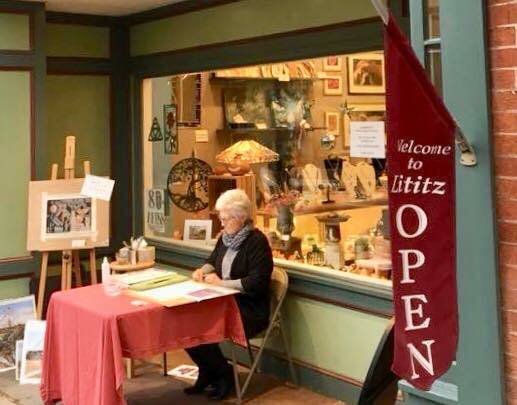 Join us from 6-8pm on May 10th during Downtown Lititz 2nd Friday evening events to interact with a local artist and watch them demonstrate their artwork outside Purple Robin Reserve. 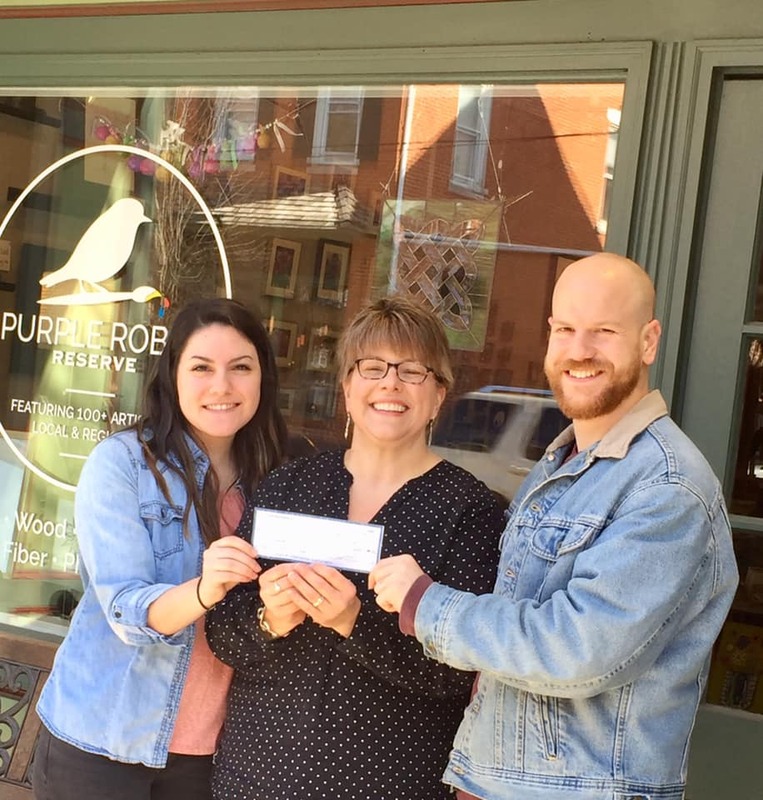 Current Purple Robin Partner Artists – Join us at Purple Robin Reserve on Saturday February 16th at 9am for a breakfast reception celebrating each of you! Wonderful opportunity to interact with your creative local community before we open to the general public at 10am. Over 70 Ice Sculptures displayed in downtown Lititz all weekend February 15-16-17. Main Street closed 3pm Friday through 7pm Saturday; over 20 food trucks and downtown eateries to choose from; most shops open late. Visit www.lititzfireandice.com for full details. Purple Robin Reserve will be sponsoring an ice sculpture again this year! Celebrate October 2nd Friday with Partner Artist Brenda Blank as she demonstrates watercolor techniques outside Purple Robin Reserve from 6-8pm on Friday October 12th. Several activities including music and Fall-themed festivities are planned throughout downtown. Lititz September 2nd Friday – Artist Demonstrations Throughout Town! Posted in Past EventsLeave a Comment on Lititz September 2nd Friday – Artist Demonstrations Throughout Town!